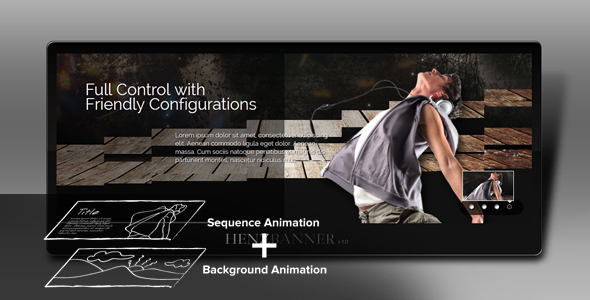 Henz Banner is an user-friendly slider for web designers and web developers. It uses CSS2 and Jquery which is compatible to all major browsers. There are 6 main transition categories for the background which are ideal for corporate looking websites. On top of that, you can have sequence animation using combination of texts and images overlay the background. It visually enhances the depth of design, as well as more messages to be carried out in the banner. So what are you waiting for, spare your time to take a look at it now!